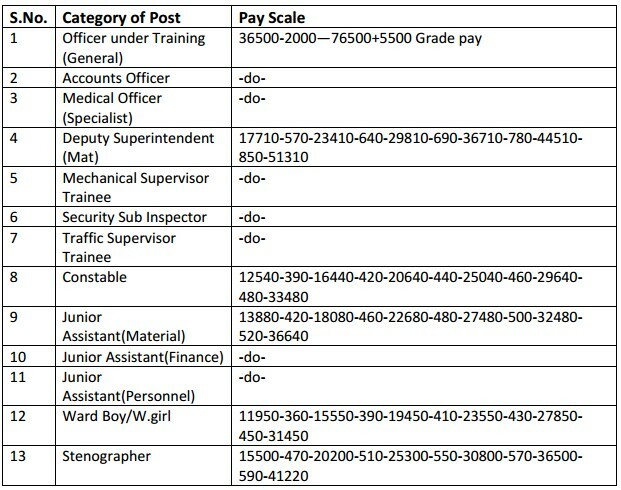 For Medical Officer (Specialist) - Must not be above 45 years of age. For Mechanical Supervisor Trainee -Must not be above 35years of age. For Junior Assistant (Personnel) - Must not be above 40 years of age. For Junior Assistant (Finance) -Must not be above 40 years of age. For Junior Assistant (Material) -Must not be above 40 years of age. For Stenographer - Must not be above 37 years of age in the case of non graduates and 40 years in the case of Graduates.